"... so outstanding in so many respects ... holds its head up proudly among the best, in stunning sound too." "Five Stars ... it's the excellence of choruses and orchestra you keep coming back to ... a richly enjoyable performance of a much-recorded masterpiece." 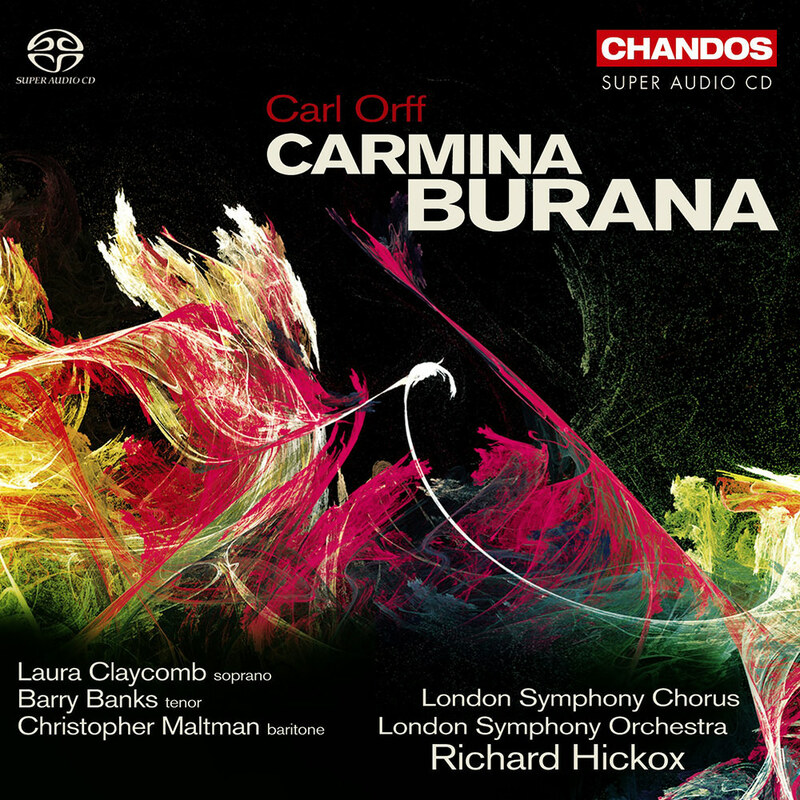 "The Chandos engineers have worked wonders ... vivid sound allowing a wealth of orchestral detail to be heard ... dynamic range is enormous ... a vibrant performance that has a real sense of occasion ... the soloists make a fine trio ... the choral contribution is excellent ..."
Recorded live at the Barbican Centre in November 2007, Richard Hickox conducts Carl Orff’s immensely popular dramatic cantata Carmina Burana with the London Symphony Orchestra and Chorus and soloists Barry Banks, Laura Claycomb and Christopher Maltman. Hailed as one of the masterpieces of the 20th century, the music is scored for three vocal soloists, three choirs and a large orchestra featuring triple woodwinds, two pianos and no fewer than five percussionists.